Passed away peacefully on Friday 2nd November 2018. 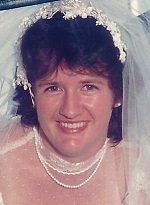 Dearly loved Wife of George (dec’d). Loved Mother and Mother-in-law of Brett & Mon, Chris & Jess, Mitchell and Josh. Cherished Grandmother of Kye, Koby and Lexi. Family and Friends are warmly invited to attend Bev's Graveside Service to be held at the Tweed Valley Lawn Cemetery, Eviron, on Wednesday 7th November 2018, at 2.30 pm (NSW). In lieu of flowers, donations to Cancer Council NSW would be appreciated, with a donation box and envelopes available.